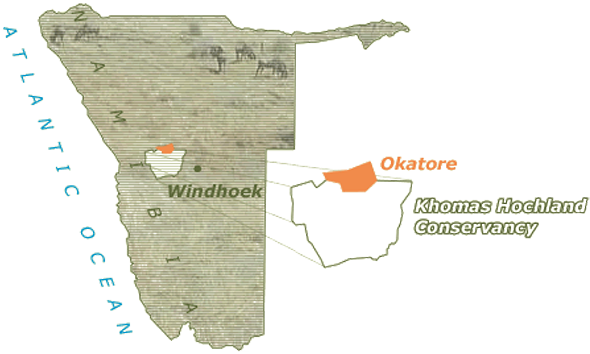 Okatore Lodge is located in the midst of the rolling hills of the Khomas Hochland, only 75 km north-west of Namibia’s capital, Windhoek. 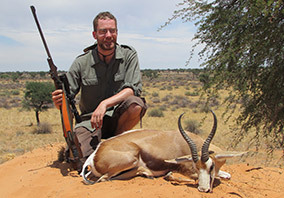 Upon your arrival at the International Airport, we will take you through Windhoek, to your hunting destination. 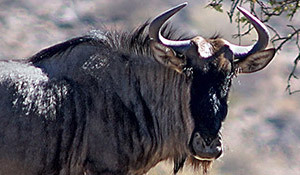 The two-hour drive from the airport to Okatore leads you through a spectacular mountain scenery with breathtaking views and a great abundance of game along the route. 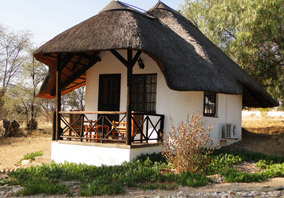 10 500 ha of untamed land surround the attractive Lodge with the characteristic red roofs of the ranch buildings and the cozy thatched bungalows. 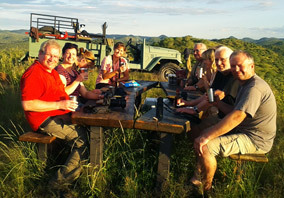 Here, in the endless, silent expanse, beautiful nature and tranquility of the African bush, you will quickly leave the stress of your everyday life behind, relax and start your holiday. 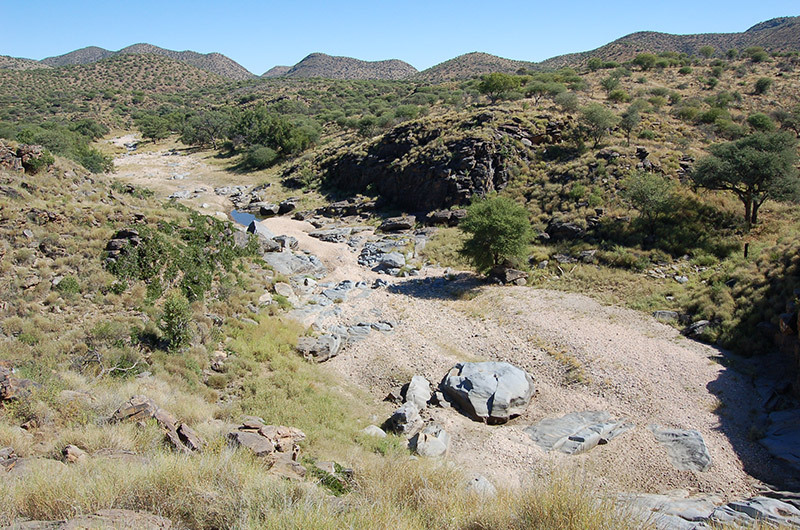 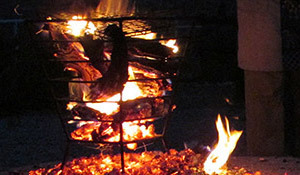 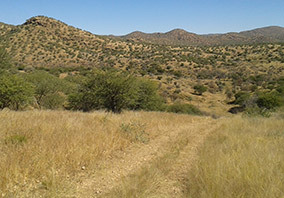 The hunting area forms part of the Khomas Hochland Conservancy (KHC), a conglomerate of several ranches to form about 150 000 ha of excellent hunting area. 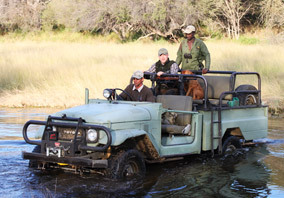 Since its inception in 1992, the KHC strives to maintain a healthy, rich and diverse wildlife population that is able to roam freely without restrictions imposed by high game fences. 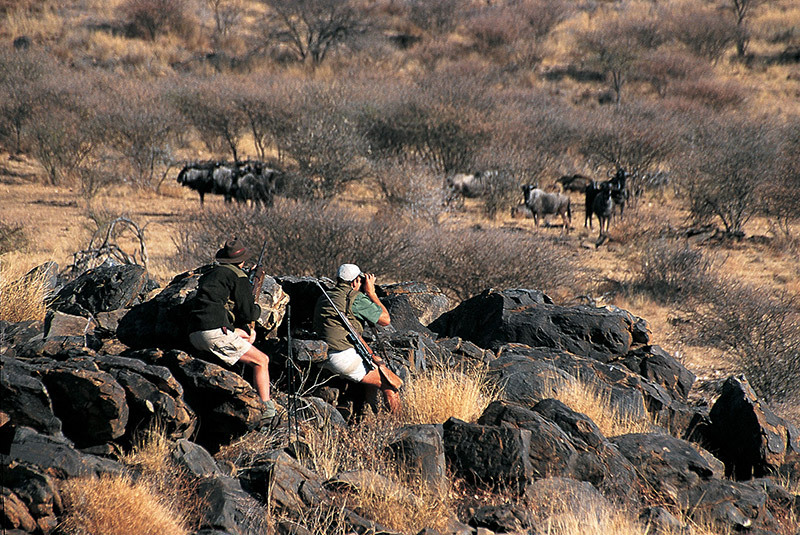 One of the gems in our area is a healthy, natural population of the Hartmann’s Mountain Zebra, promising an exciting and challenging hunt. 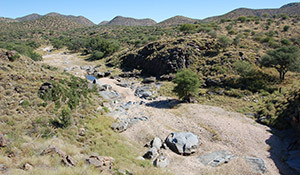 The KHC strives to protect and improve the fauna, flora and the natural habitat of the area, promote the settlement of formerly native animals, stabilize the populations of endangered species and bring environmental awareness closer to the local population.